Welcome to Space Jam 13 STEM merit badge workshop! Will you be the next Scout Astronaut? Lets get started! Registration is now open Space Jam 13 - Aug 2 - 4th 2019! We invite you to go boldly where no troop has gone before, seek out new and high tech Merit Badges: Space Exploration, Aviation, Radio, and Electronics to name a few. Learn how to use a 3D printer or design a video game using Unity 3D. #SpaceJamSTEM is the scouting technology event of the year. You will want to get your registration in early. 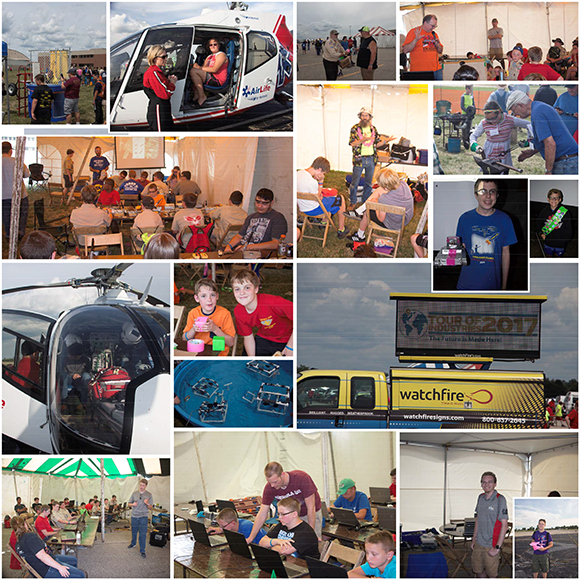 Tons of high tech merit badges, a high altitude balloon launch, discover SCUBA, live chess, underwater robotics, food vendors, camp sites, and more!